You can program games in many languages, but C++ remains the key language used by many leading development studios. Since it’s the language used in their enormous code bases, it’s the language they need to maintain and improve their games, and look for most often when hiring new developers. 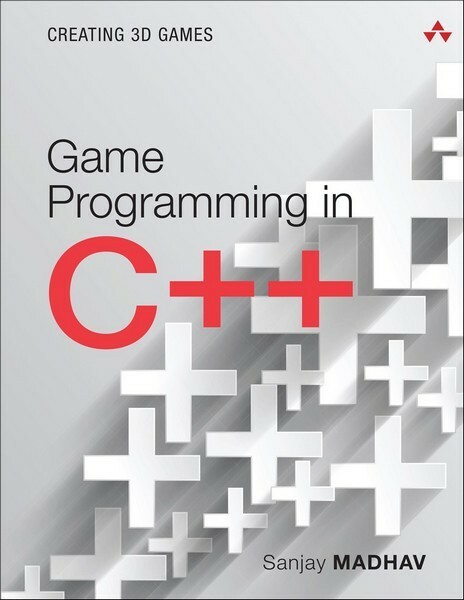 Game Programming in C++ is today’s practical, hands-on approach to programming 3D video games in C++. Drawing on the author’s pioneering experience teaching game development at USC, it guides you through all key concepts hands-on, and helps you deepen your expertise through several start-to-finish, in-depth game projects. Author Sanjay Madhav introduces core concepts one at a time, in an easy-to-digest fashion, paying special attention to the math that professional game developers need to know. Step by step, you’ll become increasingly comfortable with real-world C++ game development, and learn how to use C++ in all facets of game programming, including graphics, physics, AI, audio, camera systems, animations, and more.